Player Feedback Survey Now Available! ● Take a survey and get 3000 Jewels! Greetings, Keyblade wielders! It’s time for you to send us your valuable feedback and be rewarded with 3000 Jewels! We are happy to announce that our Player Feedback Survey is once again available for all players! We want to ensure that your overall experience in KINGDOM HEARTS Union χ[Cross] is a magical one, so please take a few minutes to take this survey so we can hear directly from you. As a gift for answering the survey, everyone who participates will receive 3000 Jewels! - If you close the survey page before completing it, any selections or text entered will not be saved, and you will have to restart from the beginning. - You will only be able to receive the 3000 Jewels once, even if you submit the form multiple times. ※Jewels will be distributed at a later date. Please stay tuned! ■Important Info: Please be sure to enter your player ID correctly. *Please note that if you do not enter your player ID, or type it out incorrectly, you may not receive your Jewels! ▽- The player ID is the number sequence in the highlighted section below. 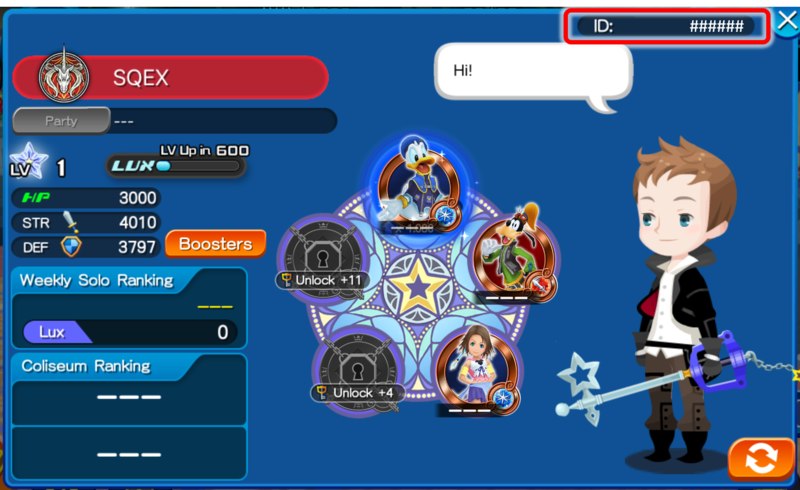 Thank you for your continued support of KINGDOM HEARTS Union χ[Cross]! Get 7★ Sephiroth [EX] within 5 draws! The latest 7★ Deal features Sephiroth [EX]! Get him within 5 draws from this EX Medal Deal! Sephiroth [EX] is available for a limited time! In this EX Medal Deal, you are guaranteed to receive 7★ Sephiroth [EX] within 5 draws! You're also guaranteed to get either a Tier 5, 7★ Medal or a Tier 6, 7★ Sephiroth [EX] per draw from this Medal Deal! Plus, Sephiroth [EX] also has unique Home Screen music when you share this Medal! In other words, you won't be able to obtain Sephiroth [EX] outside of this EX Medal Deal until we announce that he is available again! ・You are guaranteed to receive 7★ Sephiroth [EX] within 5 draws! ・Plus, you're also guaranteed to get either a Tier 5, 7★ Medal or a Tier 6, 7★ Sephiroth [EX] per draw from this Medal Deal! The following skills will come with your guaranteed Tier 5, 7★ Medal. 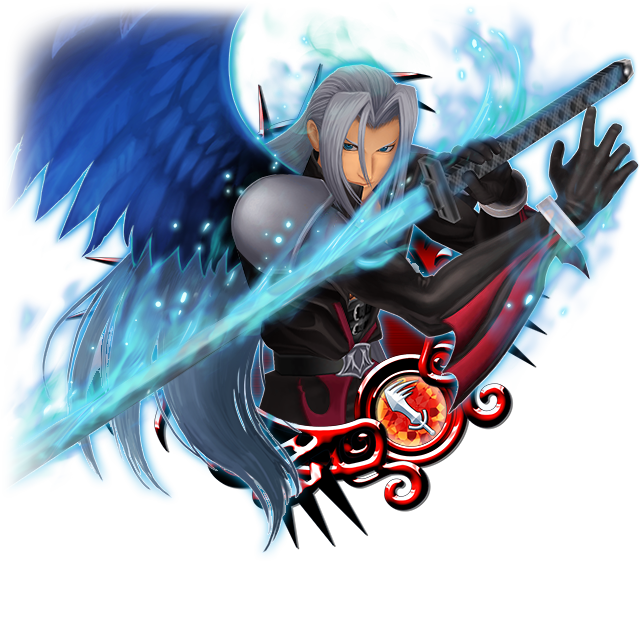 ・Boosted 7★ Sephiroth [EX]: 1,000 more base Strength and Defense. ・Please check the 'Draw Odds' tab for more information on other Boosted Medals obtainable from this banner. We're happy to announce the Medal Roundup Event! 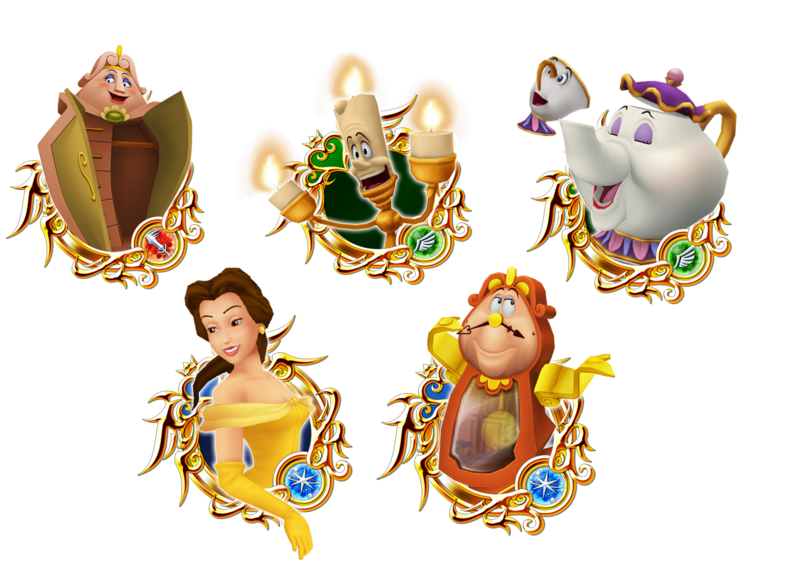 Collect new 5★ and 6★ Medals making their debut in the Global version of KINGDOM HEARTS Union χ[Cross]! ・Collect the new 5★ and 6★ Medals! The enemies you face in these quests will have a chance of dropping the Medals listed below! ・A total of 3 quests will be available during the event period. ・There's a small chance that Boosted Medals will drop from enemies! ・Boosted Medals will have 1,000 more base Strength. NOTE: The Medal information listed here apply to the 6★ versions of each medal. Please note 5★ versions of these Medals are also available from this event and will have slightly different stats. * Damage multipliers listed apply to a version of these Medals with a maximum Special Attack Bonus. Aug. 11 ～ Aug. 19 Proud Mode quests are now available for the DAY 1 ～ 10 quests! Aug. 26 ～ Aug. 31 Proud Mode quests are now available for the DAY 11 ～ 17 quests! Plus, Critical Mode quests are now available for DAY 1 ～ 17. I miss the good, if rare times when you could actually farm medals that had some use other than pretending to be content. I'm happy for all the collectors out there, but I usually don't bother with these. Sent the survey for the jewels, still thinking it's a bad joke, wished that I could set my dot for every single statement in the improvements section. I can really use those jewels, only have like 300 jewels left after Kairi and I want Xion :s hope we get them before she expires, along with some other quests that actually give us something that counts as fabulous rewards. The game is so focused on PvP, that SENA thinks fabulous rewards are HLD and anything to help in PvP ONLY!! They need to stop this and start including jewels. Jewels in every single event, and not just 10 or 30. If they are going to continue the banner spam, then there has to be a way in-game to generate jewels other than the monthly Org. 13 event, which not every player will be able to compete in. I've filled in my questionnaire stating this as one of the areas they need to improve. We'll see if anything comes of it. Literally wrote "please enough with Agrabah", "Less focus on pvp and vip" and "ease up with the banners" directly to the makers. Did anyone have an error with the text color in the right column(in app)? I had to invert my screen colors so I could actually see the text because it was black.